Boil one cup of water in a pot, when boiling add above all ingredients and switch of the flame then close the pot with a lid for few minutes. Now strain the water and store it in a flask. Whenever your cough irritates you, drink one cup of this mixture. 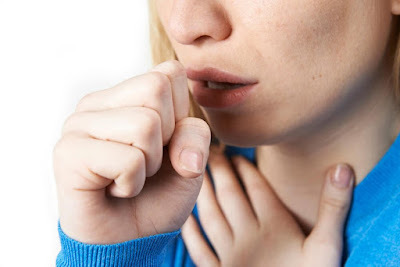 This is an amazing home remedy for cough treatment, it helps in healing and soothing your throat. Add one teaspoon of salt into a cup of warm water. Stir them until it dissolves. Cool the solution slightly before using it to gargle. Now gargle the salt water for few seconds in a streak and spit the water. Repeat the process and then rinse one more time with plain water. Do this for several times each day until the cough improves. Avoid giving this to kids as they may not be able to gargle properly, and swallowing salt water can be dangerous. Add one teaspoon of turmeric powder and black pepper to a boiling water. Let the water boil for another few minutes. Allow the mixture to become warm. Then, add a little honey to the solution. If you want you can replace the water with milk. Consume the mixture thrice every day until you see the improvement. Another way to consume turmeric is by adding it along with carom seeds to herbal tea. Add honey to taste and drink the solution two to three times daily. Ginger has anti-inflammatory properties, which can ease a dry or asthmatic cough and also relieve nausea and pain. Grate ginger into small pieces and take them into a bowl of water and boil it. Once the mixture is cool, you can have it three times every day for getting relief from a cough. Try rubbing your chest with ginger oil or chew ginger slices. Note that the ginger has a strong taste. Be careful if you have any mouth ulcers. Peppermint leaves are considerable for their healing properties. The menthol in peppermint soothes the throat and is also a decongestant, helping to break down mucus. You can get relief by drinking peppermint tea or by inhaling peppermint vapors from a steam bath. Boil one cup of water and stir 1 spoon of honey, squeeze half a lemon juice to it. Drink the mixture throughout the day to cut mucus and suppress the cough. Honey and lemon act as mild antibiotics, and make this syrup super-soothing. Add one spoon of freshly ground black pepper to two cups of water and boil for fifteen minutes. The mixture can be steeped, and the pepper separated then add one teaspoon of honey and stir well. Have this pepper water once or twice a day to get instant relief from cough. I always use my experiment remedy, when I don't have enough time to prepare then I go with other simple remedies. Don't drink too much of this juice, cough remedies make your body heat that will be another problem again, so take in small quantities and always stay hydrated with water.